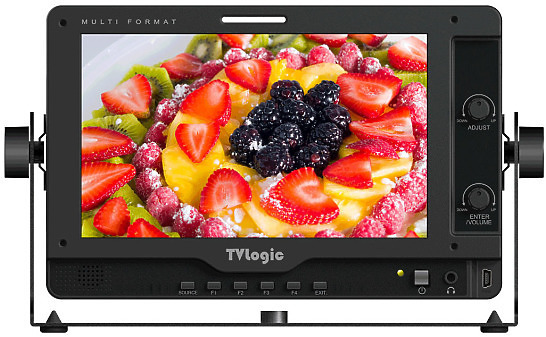 The TVLogic LVM-070C is a high-resolution (1024×600), 7” LED backlit LCD broadcast video field monitor housed in lightweight (600 grams) yet durable magnesium alloy case. Perfect for outdoor and on-set mobile monitoring when used with TVLogic’s wireless video transmitter and receiver packs. Hire the TV Logic LVM-070C 7 inch Monitor from Procam. Best service and rental rates for the TV Logic LVM-070C 7 inch Monitor and all cameras, lenses, sound, lighting and grip.